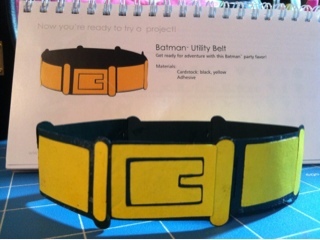 Cute utility belt from the Barman Binder. These would be cute napkin rings at a themed bday party do ya think? Wow, that belt is awesome. A lot of little guys would love that cut. A napkin ring is a great idea! Wow - i have this cartridge!! Have you seen all the tiny cuts on this one!? !